TITANIC: History's Most Famous Ship: What Happened To Gigantic? In the summer of 1907 when the Olympic Class liners were conceived, only Olympic and Titanic had been officially named. Since the two ships were going to be built side by side at the same time. White Star wanted to add a third ship later, but it was never given an official name at the time. The three ships had hull numbers and were listed as 400, 401, 433. The public in Belfast knew about the White Star Line's order for 3 new ships and knew of Olympic and Titanic, but they were curious about the third ship's name. As curiosity grows, unauthorized publications such as posters and articles about the three liners began to circulate. 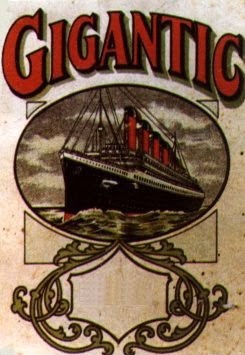 A poster like the one pictured above was an unofficial publication advertising "Gigantic" as the third ship in the class. Since White Star always branded their advertisements with the White Star Line logo, this poster does not belong to White Star. By the time the first ship Olympic was launched, all the Harland and Wolff records indicate that the third ship was to be named "Britannic". Some suggest that the White Star Line had indeed planed to name the third ship "Gigantic", but then changed the name after the Titanic sank to avoid the appearance of arrogance. White Star denied these claims at the Titanic inquiries. 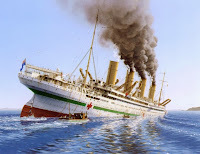 In the end the third ship was named "Britannic". This is what I myself had previously believed to had happened. "The origin of the poster that you illustrate is extremely vague, but it is quite certain that it was not a piece of official White Star Line publicity. Nor did it have anything to do with Harland and Wolff. What is certain is that as of October 1911, the only name in the available Harland and Wolff records is Britannic. None of the documents at the Public Record Office of Northern Ireland (PRONI) record any name changes even after the vessel had been ordered, which was almost six months before the Titanic went down." "If it is of any assistance in all my years as Archive Manager in H & W I can confirm I never saw any official reference to the name Gigantic being used or proposed for the third of the Olympic class vessels. In any event the name of the vessel would be of only passing interest to us as the vessel number, in this case 433, would be the principal identifier." I believe this proves that White Star never changed the name from "Gigantic" to "Britannic", and that the records indicate that the name "Britannic" was the official name before Titanic sank. Perhaps the name "Gigantic" was simply suggested during the time the 3 ships were being conceived, but never made official. The only thing that had changed about her name was the prefix. She was supposed to be named "RMS Britannic", just like RMS Olympic and RMS Titanic, but lost that title because of World War I. Before she could be completed she was requisitioned to serve as a hospital ship by the British Admiralty. 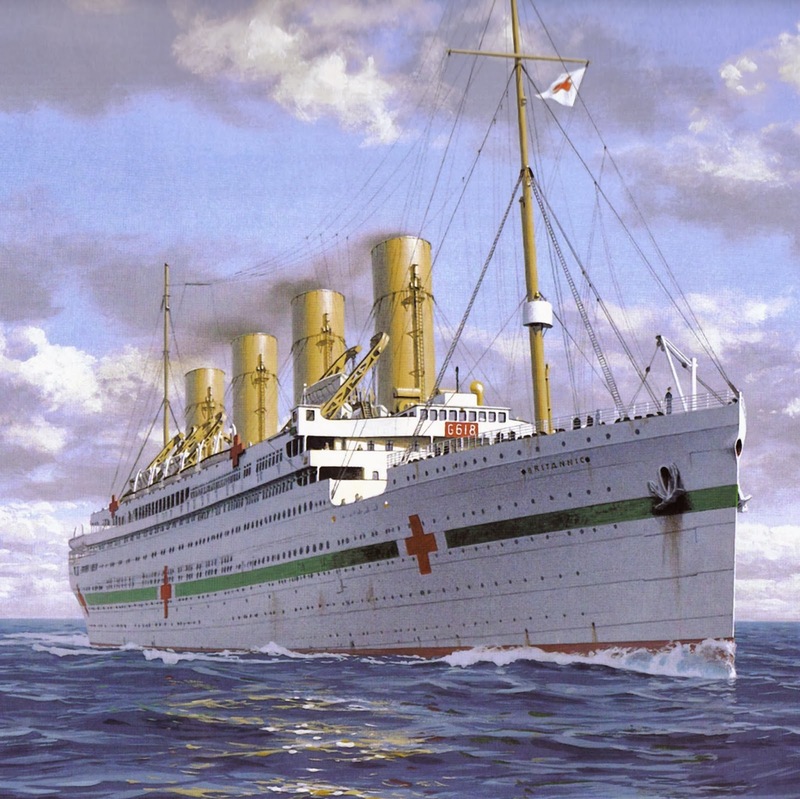 She took the name "HMHS Britannic" which stood for "His Majesty's Hospital Ship Britannic". 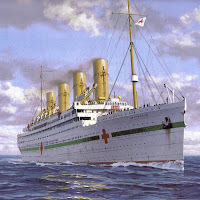 After completing 5 successful voyages as a hospital ship she was considered the finest hospital ship afloat. 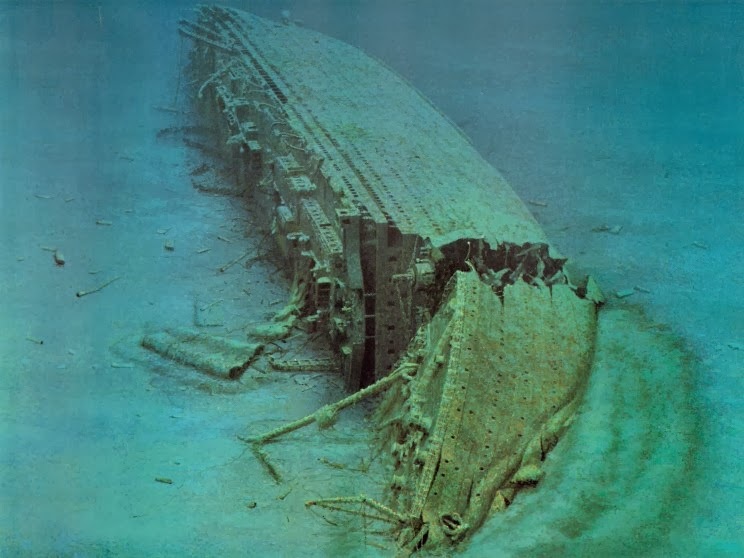 On November 21, 1916, Britannic was on her 6th voyage when she struck an underwater mine off the coast of the Greek island of Kea in the Aegean Sea. She sank in only 58 minutes taking 30 out 1,036 lives. She was the largest ship lost in WWI and is the largest ocean liner on the sea floor to this day. The wreck of the HMHS Britannic.